There are a lot of benefits that go along with being self-employed. One of which are the tax advantages. These benefits won’t happen without a little effort, though. You must be diligent about keeping records, organizing all receipts and paying estimated taxes. With some foresight, budgeting, and good record-keeping you should be well on your way. Below, are some things to keep in mind as tax season approaches. First and foremost, it’s important to verify your independent contractor status. When it comes to the IRS, they have their own definition of what an independent contractor is and not all companies may adhere to it. Generally speaking, you are an independent contractor if the party that pays the money only has control over the result of the work that needs to be done, but not the way in which the contractor does it. For more information, the IRS has a more detailed explanation on their website. An independent contractor is eligible for tax deductions that are related to the cost of doing work. In order to take advantage of these deductions, however, you’ll need to prove it. That’s where keeping records comes in. If possible, scan digital copies of your receipts in the event that something happens to the originals. Qualifying deductions may be both indirect and direct expenses that relate to your work. Indirect expenses may be such things as utilities like electric and heat. Some direct expenses could be equipment, supplies and phone service. The IRS form 8829 can be a big help when figuring out what expenses are allowable if you use your home for your business. Independent contractors are required to pay taxes on a quarterly basis, when their tax liability exceeds $1000 during the year. The best way to do this is to save a percentage from every payment received in a separate account, which is intended just for taxes. In addition, independent contractors are also responsible for self-employment tax, which includes their Social Security and Medicare. This sort of work may not be for everybody, however. 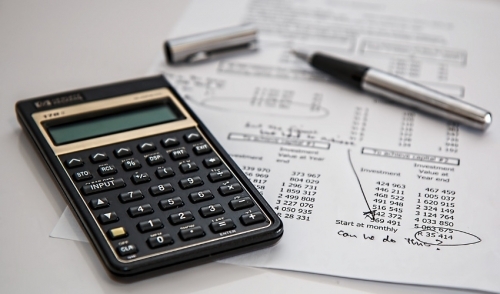 Take the time to read and understand all of your business’s financial statements. If you’re not comfortable, then consider consulting or hiring a bookkeeper to handle these matters for you.